Due to changes in the domestic front, I’ve to do more household chores and as a result, my hands have become ratherÂ dry.Â Â It’s not practical to keep putting on hand cream when I have to useÂ my handsÂ all the timeÂ plus I’mÂ concerned about the hand cream getting in the way during food preparation.Â As such, I’ve been thinking about what I can use on my hands from theÂ kitchen.Â Then it struck me thatÂ the extra virgin olive oil that I use for cooking is probably ideal.Â And it is! Because it is oily, I decided to use this in the night at first.Â I pour about a tablespoon and rub the oil liberally on both my hands, massaging into my fingertips and cuticles especially.Â After which, I put on a pair of disposable plastic gloves and leave it on for half an hour.Â The gloves aren’t thick and so I could continue to use my hands in performing normal tasks. After half an hour, I removed the gloves and my hands still feel oily.Â Instead of washing them, I just used a paper towel to pat off the excess oil and continue massaging my hands until they don’t feel so oily.Â What’s really amazing is that after about 10 minutes or so,Â the olive oil absorbed into my skin and they felt so soft and smooth!Â My fingertips which were the driest were evidently less so.Â I also noticed that my cuticles look much better the morning after. After the delightful experience, I’ve started to use the extra virgin olive oil on my hands nightly now.Â In fact, I not only use it at night but during the day too to moisturize my hands.Â I use about a teaspoon each time and rub the oil into my hands and then pat off the excess with a paper towel.Â This is great because my hands are nourished and yet I don’t have to worry about the oil especially when I’m preparing food for the family. 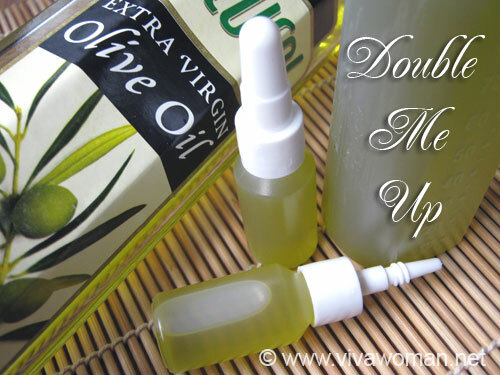 If you’re keen to try this, please make sure you’re using extra virgin olive oil and not any other normal cooking oil because the former is great for moisturizing skin.Â Â In fact, I know many ladies use EVOO to moisturize their face.Â Â As I’ve mentioned, organic is best but if you can’t get that, then the normal will do too. I won’t be using olive oil, but I remembered I had a bottle of sweet almond oil, so I’ll try that. Thanks for the idea! Soos: Sweet almond oil would do too! I have super dry hands and this is another PROJECT!!!! 🙂 yay, thanks for this!! I use extra virgin oil as hot oil for hair mask. Florence: For hair too? That’s a good idea! I put the oil in a dark glass bottle with a pump (purchased at health food store) and add a stem or two of organic rosemary to give it a pleasant scent. Leon: I was so surprised it works so well. Hi,I am ur ‘quiet’ fan and visit ur blog everyday.I wonder whether I apply it on my feets before bedtime. Yeah my hands are definitely dry. Thanks, can’t wait to try it! 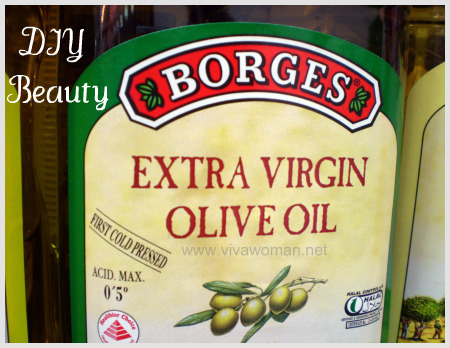 hi hi, i came across your blog by chance & saw this entry about olive oil. mm.. i wonder if it will works the same for those Eversoft Olive oil? 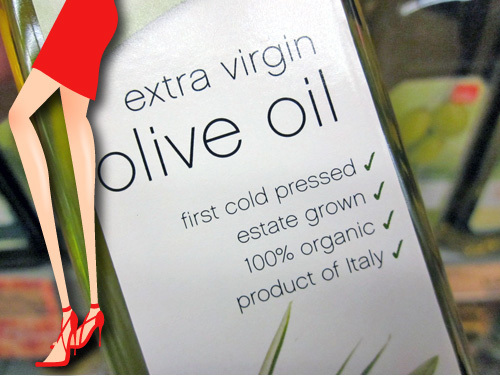 IY: Eversoft Olive Oil is a cosmetic grade and if I’m not wrong, more suited for removing makeup or cleansing the skin. Not sure if it’s suitable for moisturizing. If it is, you can use it the same way. Just that Extra Virgin Olive Oil is 100% pure and well, it costs lesser. 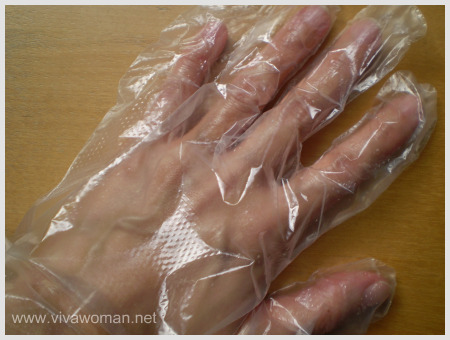 I tried the oil on my hands without using the plastic gloves last night and it works wonder. I don’t see the dry and lined hands now. I shall check my hands again in air-conditioned room. Thanks for the post. I have tried every moisturizer on the marker, nothing works, or I am allergic to it. I stopped using it for awhile, I use it on my face and hands, all over actually. I could see the difference in not applying it regularily. I started reapplying and in one weeks time, the dryness left. I also use it when my lips are chapped. Sharon: Glad it’s working for you! If you’re using on your face and kind of long term, may I suggest you try using the organic version. They cost more but is definitely better long run. For the hands, normal version will suffice. Sweet almond oil – since I couldn’t bring myself to use olive oil for cooking on my hands – is now my go-to moisturizer in the kitchen. sesame, I use a dime-size amount, massage in, and blot off any excess. 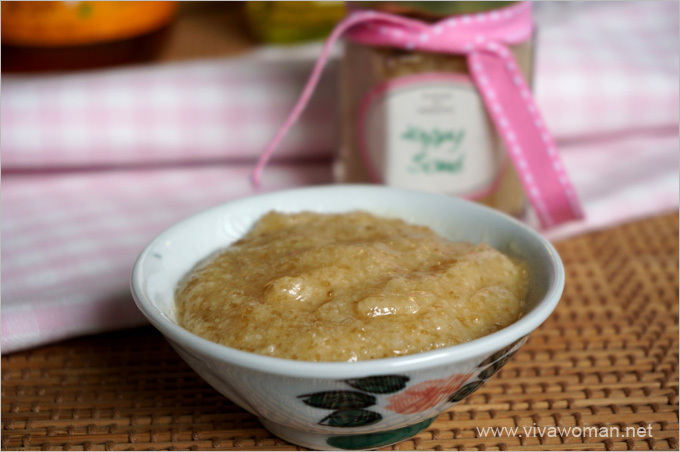 It’s absorbed quickly and has a pleasant scent. Thanks for the idea, I just tweaked it for myself! Yes, sesame, it’s cosmetic grade. I had planned to use it as carrier oil with fragrance oils. So much for big plans! Hi. I am going to try this promising sounding remedy. How long does the result last though? I just don’t want to focus on treating my hands all day as I am sure you can relate. I have a short story: I had damp sweaty hands for about three years; very frustrating…so I got botox treatments which got my hands dry but they felt rough and dehydrated and I have even more trouble trying to perform my many daily tasks than before…eventually I got sick of this result so I tried this iontophoresis treatment that basically just zaps the sweat glands; that works, however I still have these sand paper hands. Will this one tablespoon of olive oil keep my hands hydrated for at least more than a few hours so this does not have to be my primary focus in life any more? Hello lovely ladies, The dry skin problems affect men too at young age. 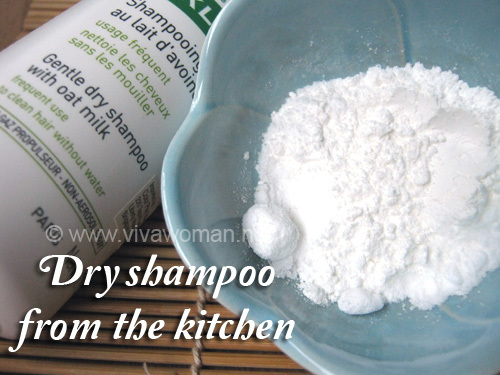 I use extra virgin olive or coconut oil. Both works great. One way to make your skin lively without need of any chemicals is to use olive oil while bathing. After you are done with your bath. Fill half bucket water and put 1-2 tablespoon EV olive oil and stir it for 2-3 secs. Then -put that water all over your body and use your hand at the end to just run over all body parts. It takes less than 2 mins to do everything. Just do it every day and you would thank me for this. Oh sounds like a great idea! Thanks for the tip! Really? Cooking oil for dry hands, is it effective I never tried it before. Thank you for sharing this one.